The Nokia Lumia 625 Manual or user guide is available now. The manual provide main important information like troubleshooting, using applications, and settings guide. The Nokia Lumia 625 is powered by 1.2 GHz dual core processor with Qualcomm Krait MSM8930 Snapdragon chipset. It's installed Windows Phone 8 platform with 512 MB of RAM. The phone equipped with 5 megapixel camera. The phones includes 4.7 inches IPS LCD capacitive touchscreen with a resolution of 480 x 800 pixels. There is 8 GB internal memory and support for external memory up to 64 GB. 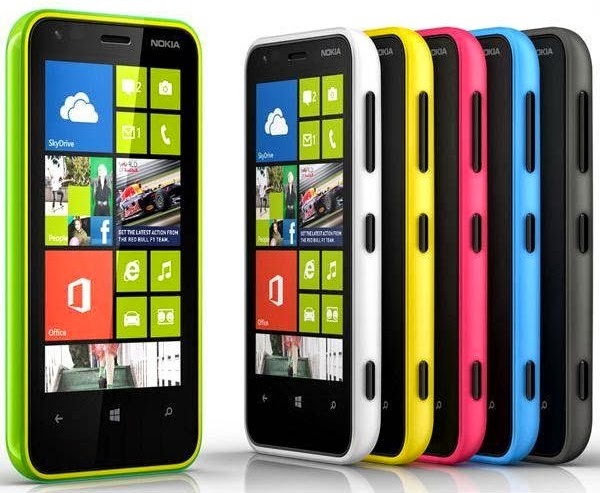 The Nokia Lumia 625 measuring 133.3 x 72.3 x 9.2 mm and also powered by Li-Ion 2000 mAH battery capacity. The Nokia Lumia 625 User Manual is consist of 119 pages with file size of 1.96 MB. It's available in english language. In this manual you can find reference information such as keys and parts, tutorial Insert the SIM card, instruction how to Insert the memory card, Create your Microsoft account, Lock the keys and screen, Use the touch screen, SkyDrive, using contacts and messages, using camera, record a video, tips photography, using maps and navigation, using web browser, using FM radio, Microsoft Office Mobile, Nokia music, Tips for business users, using bluetooth and Wi-fi, safety, Troubleshooting problem and support. Troubleshooting and discussions may not be available in all languages. For support videos, go to www.youtube.com/NokiaSupportVideos. Press and hold the power key for over 8 seconds. The phone restarts. Reset your phone. This restores the factory settings, and erases all your personal content, including apps you've purchased and downloaded. On the start screen, swipe left, and tap Settings > about > reset your phone.If your issue remains unsolved, contact your network service provider or Nokia for repair options. Before sending your phone for repair, always back up your data, as all personal data in your phone may be deleted. Tip: If you need to identify your phone, to view the unique IMEI number of the phone, dial *#06#.